If everybody fakes it, ’til they make it, who can you trust? When looking for a business partner to help you with marketing your music, you have to be extra suspicious. I usually don’t publish negative reviews, just because I rather keep dislikes to myself. But this time I want to share some negative information about the music marketing company RAZRmusic. As you know, I’m all for the indie hustle and we have neither time nor money to waste. They offer Spotify, YouTube and SoundCloud promotion, mixing & mastering as well as Instagram marketing and graphic design. On their website they practically promise to deliver playlist placements, targeted streams and a certain amount of monthly listeners alongside a 24/7 support. The Spotify deals, for example, range from $299 for a trial package to the “Diamond” package for $ 1199. 1. When checking out a company, first thing I look for is the imprint on their website. If you are a serious company, you’ll want people to know where to find you. There’s no imprint on RAZRmusic’s website. In the U.S. it may not have been finally decided, if there’s a duty for commercial businesses to put one up, but why wouldn’t a decent and successful company do that?! 2. They don’t communicate with you before you pay for a package. Only after the purchase you’re supposedly able to get more information on what you just bought or how they intend to deliver. 3. On the Spotify services page there’s no link to the trial package! 4. They claim each package to be the recommendation for first time buyers. 5. The blog on their site seems very dodgy. All posts on these eight pages have been published either 7th or 22nd of January 2019. That does not reflect the company’s operations since 2011. All posts have been published by Nick Carr. We’ll get to him later again. 6. They claim to have worked with companies like Atlantic, Epic, DefJam and others. Yet there are only two testimonials on their homepage. None of both seemed to have worked with those companies. 7. Now, let’s take a look at their additional presence on the WWW: Firstly, they blocked me on Twitter. I know, it’s just an assumption, but does the numbers look genuine or reasonable to you? And there’s still no hint on their place of residence. Same thing on their Facebook page. 9. The only person associated with RAZRmusic I could find was Nick Carr. He’s operating the blog and the company’s pinterest account. 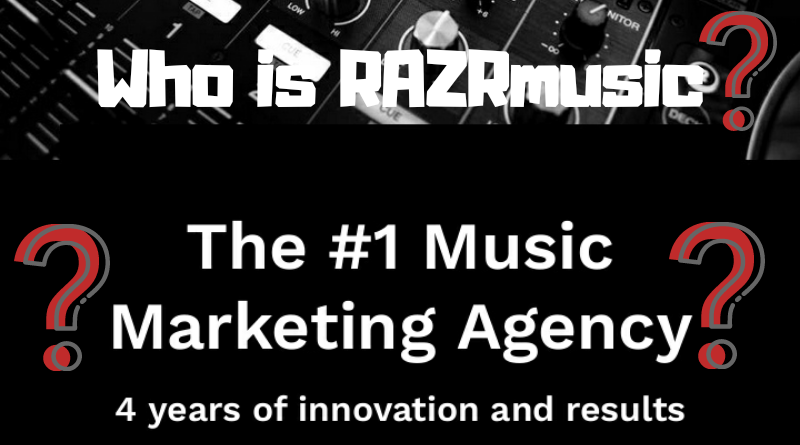 I think RAZRmusic is just Nick Carr by himself and here’s why; If a company is as successful as this one claims to be, there would be more than one person representing it in some way. Note: “Nick” is the previously mentioned Nick Carr. 10. I’ve tried to get in touch with RAZRmusic via their contact page. To be able to give a more balanced report. Up until now I haven’t heard from them. What do you think, is this a scam? If not, where’s the proof? It a scam I got scammed by them I got emails saying they did this and that but never recieved the so called links that they out my music on any blogs got a list of so called fans emails but when I reached out they came back saying the the bogus stuff they are a scam no if’s,and’s and buts about it.